Family owned since 1982, Edgewater Parts is the best place on the web for all your appliance parts needs. Whether you’re a handyman stocking parts for clients or fixing your own home appliances, we've got the top-quality parts you need with prices and customer service you'll love. Need your replacement parts quickly? We've got you covered! 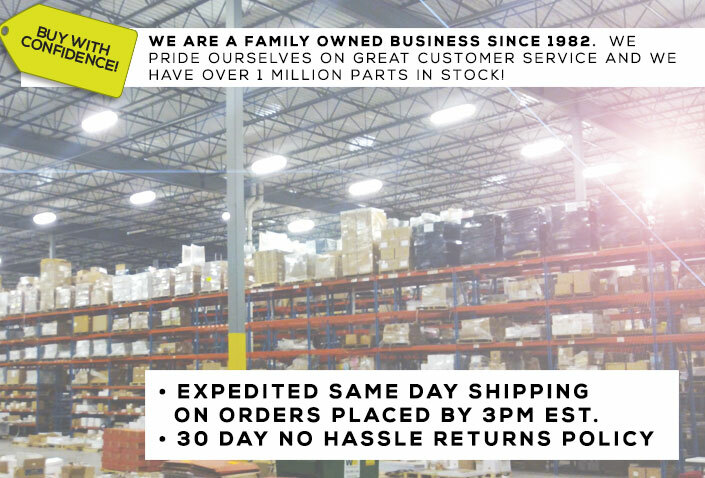 With over one million parts in stock and expedited same-day shipping on orders placed by 3 p.m. Eastern, Edgewater Parts will make sure you're always ready to get the job done. From air filters and humidifiers to microwave and dishwasher parts and everything in between, we carry the best names in the business, such as Whirlpool, GE, Maytag, Frigidaire and more. Our 30-day, no-hassle returns policy takes the stress out of shopping for your appliance parts online. Shop with us today and see why we’re the leading home appliance parts supplier on the web!